Your evolution from scientist to becoming a leader takes courage, collaboration, a commitment to learning and grit. Sound familiar? That’s right, the very things that make you a great scientist can be leveraged to make you a successful manager. Here are 5 tips that are definitely worth reading and practicing. Begin with the courage to step out of your comfort zone and explore new aspects of the business you are a part of. That’s right! It’s a business. Whether you are in a company looking to commercialize a new drug to meet an unmet need or you are in research hoping to translate your work into discovery and development, getting a product to patients is always the goal. Today you attend scientific conferences and symposiums. Begin adding business related meetings to your calendar. Start by attending local association programs and events. Here you can learn more about the regulatory process and challenges, how companies are financed and what is happening in the industry. Subscribe to on line newsletters that keep you abreast of the latest scientific advancements in the industry and the deals that are getting done. Just like doing good science takes collaboration, so does building your career. Build a strong network for both career growth and increased learning. A network of scientific peers can be a valuable group to brainstorm with, glean best practices from and learn about new technologies. To advance your career, mentors can be advantageous, providing sage advice and guidance based on their experience and expertise. Take your CFO or CMO to lunch. You will be surprised how much they want to learn from you and what you can learn from them. Identify one or two potential mentors with whom you can build and nurture long-term relationships. Find ways to bring value to them, positioning you to both give and gain from the relationship. Learning more about their needs, assisting them in achieving their goals and making introductions on their behalf are ways to be seen as a resource. When you approach the relationship this way, you will find that they will begin to search for ways that they may assist you. Invest in ongoing education and skill development. To enlist your organization’s support, promote the highly valuable benefits to the culture and the bottom line as the result of gained efficiencies, increased employee engagement and retention, which in turn accelerates the achievement of corporate goals and objectives. Programs like From the Laboratory to Leadership, can provide targeted skill development, increasing overall effectiveness in managing your people, teams and projects. Be prepared to develop grit. Grit comes from trying something, failing and then trying again. Sometimes the science of leadership can present challenges. As you work through them, the support of your network and your gained knowledge will support you in your success. 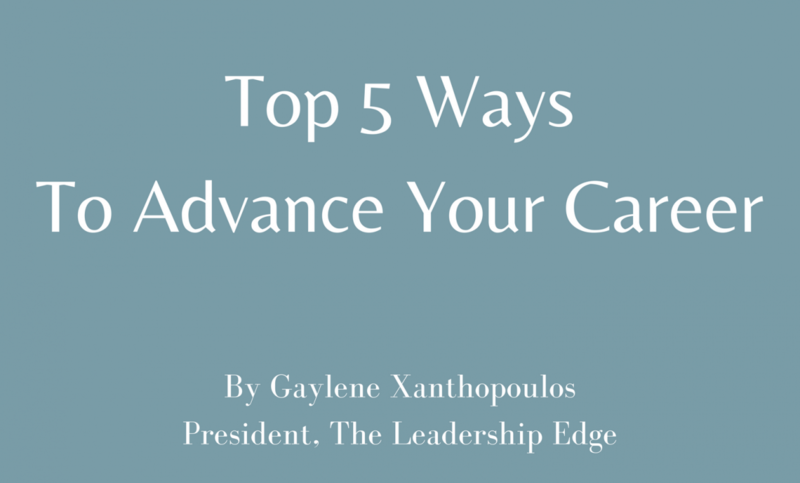 As a result, you will not only become more talented, but more resilient, further accelerating your path toward achieving your leadership potential.